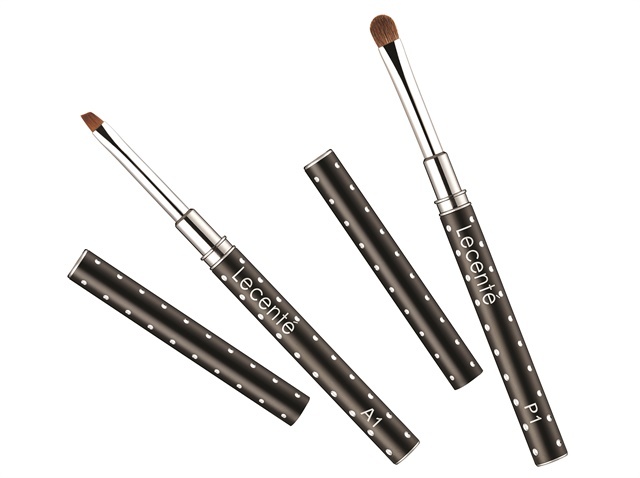 Lecenté has introduced two new brushes, the Angle Brush and the Powder Brush. With its angled design, the Angle Brush is ideal for creating lines, petals, and detailed flowers. It’s also great for rounded French lines, carving, full nail coloring, and one-stroke art. The Powder Brush features a rounded, fluffy head. It’s primarily to be used in applying Lecenté powders, removal of loose glitter, and blending powders. For more information, visit www.lecente.com.